Ippolita signature #3 hoop earrings. 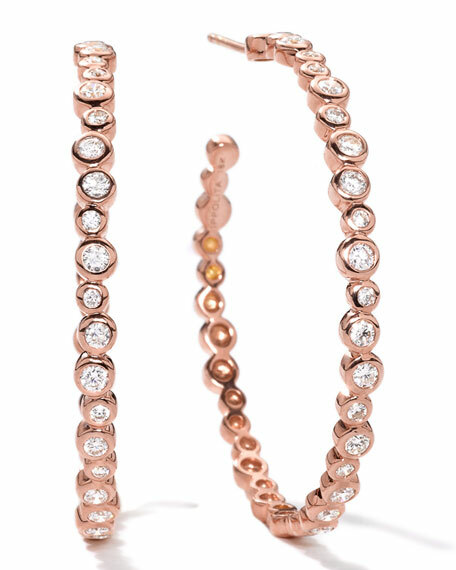 18-karat rose gold wavy hoops formed of mixed-size diamond stations. SI1/HI diamonds, 1.23 total diamond carat weight.